If you are somewhere where theses lots of snow like Chicago I hope you’re staying warm and safe! As seen in the pictures I made this the day before the snow hit and it has me dreaming of warmer weather to wear it out in. 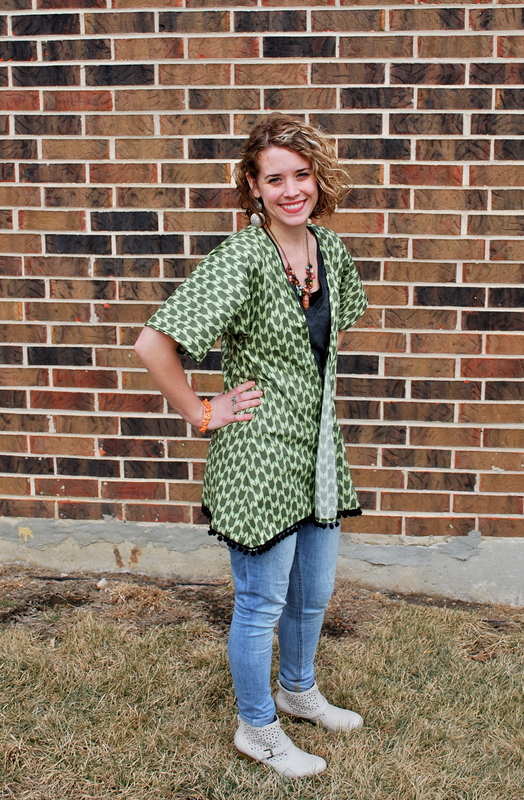 I don’t know about you, but I’ve had my eye on the kimonos I see in stores, not so much for winter but as the perfect breezy coverup for summer. I am a lizard woman and even in the Summer I’m always cold, especially in air conditioning! 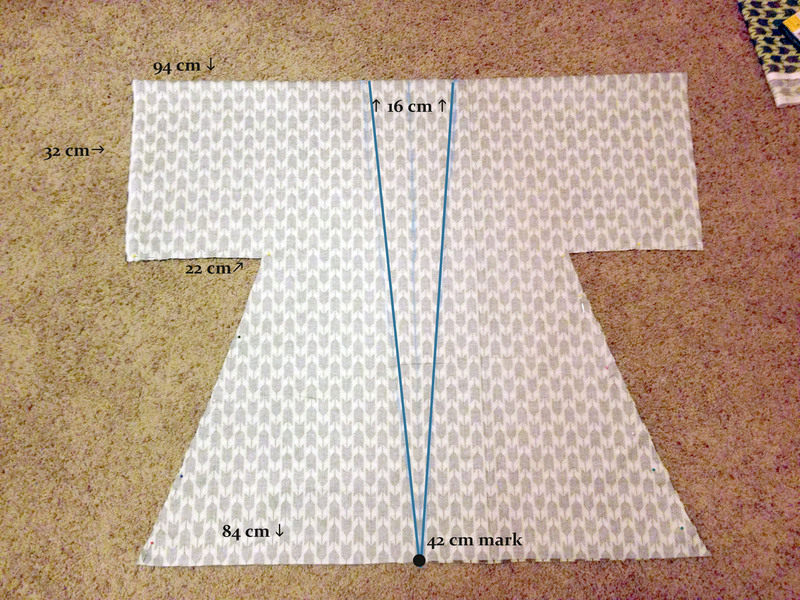 I love kimonos but am not a fan of the prices I see So I found this handy tutorial by By Hand London which after searching seemed to be about the easiest to follow , but of course made a few changes to mine. Everyone’s will be different depending on your size or how big you want it but for mine I bought 5 feet of fabric. 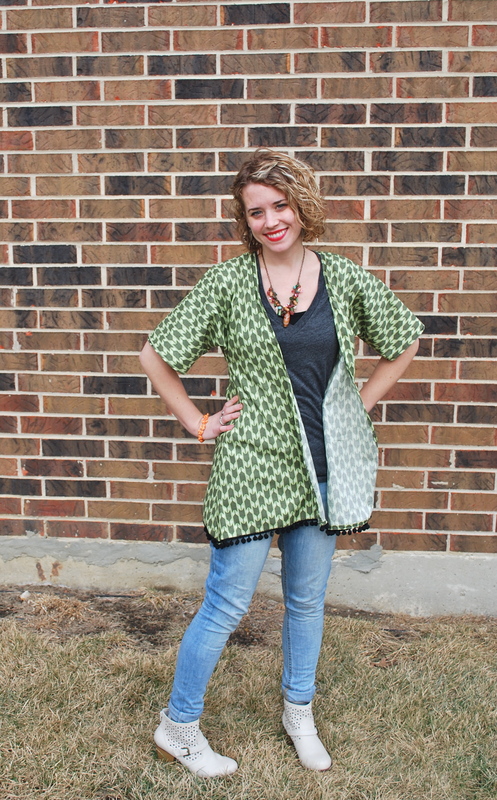 Now I wanted to use something with a little stretch or something light and breezy but I couldn’t find any I liked so for my first kimono I just used regular cotton cloth. 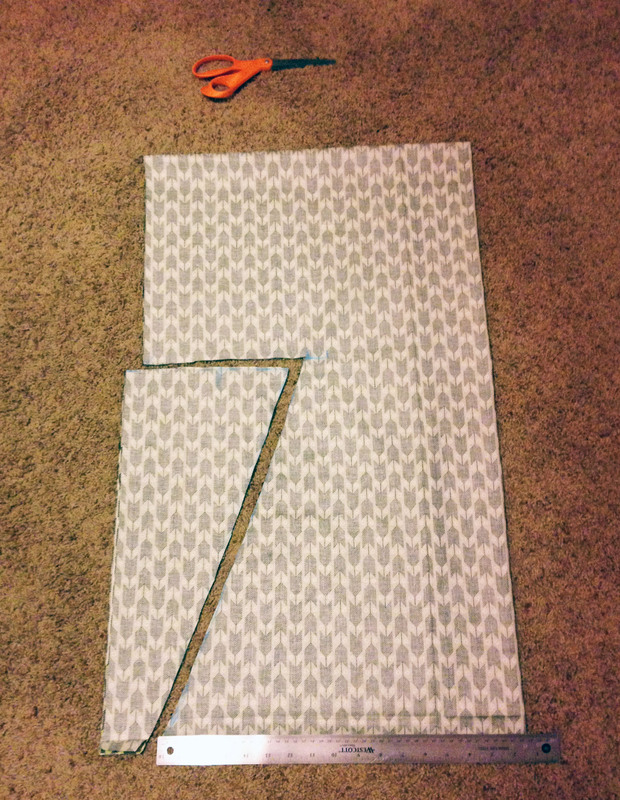 Start by folding your fabric in half with the back showing. I cut mine down a few inches so the sleeves wouldn’t be quite as long but of course it just depends on what you want. From there I took chalk and marked where to cut the sleeves. 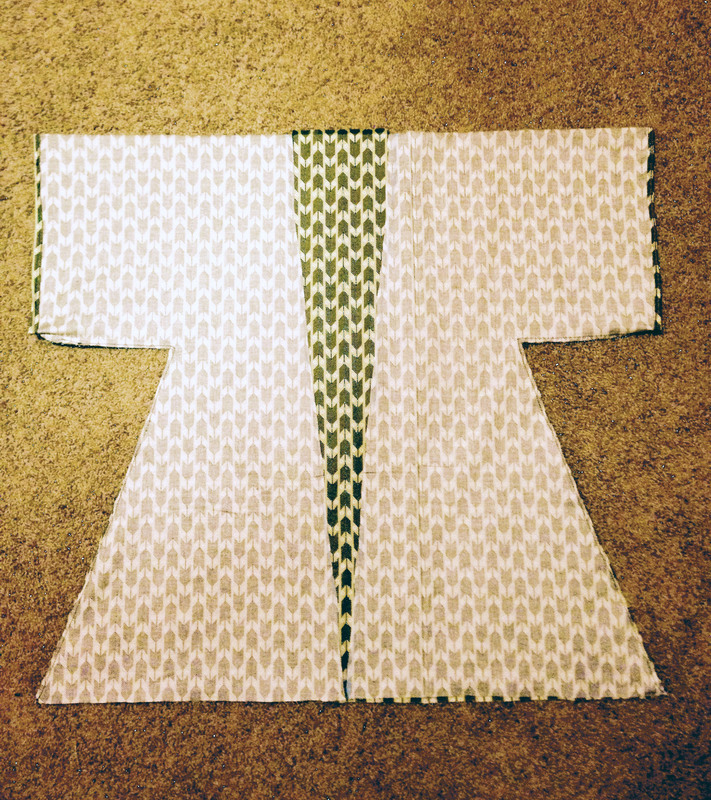 When I was ready I folded the fabric again to cut both sleeves at the same time. Sorry about the bad pictures but my craft room is pretty dark and I tend to do most of my stuff at night, which in the Winter starts about noon. So these are the measurements I used for mine. 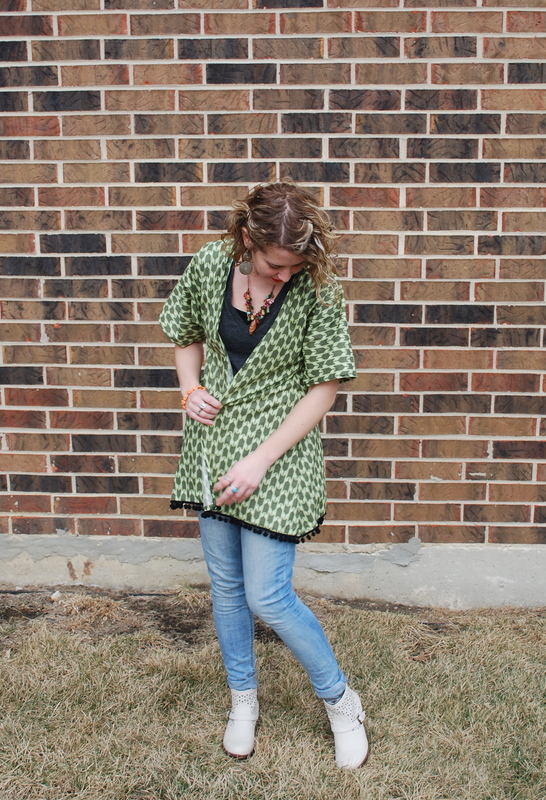 After you pin the sides and bottom of sleeves, sew them up and zigzag the ends so they don’t fray. Roll the ends of the sleeves twice so they are about 1 cm. and sew.